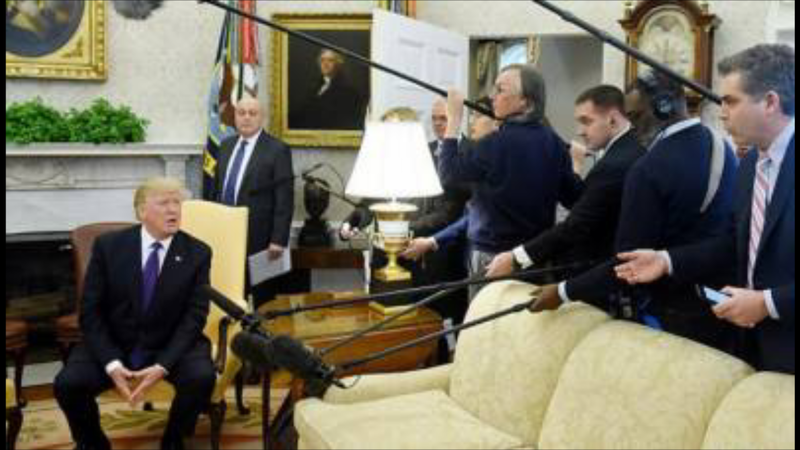 Many countries, seeking to collect as much as possible about US President Donald Trump (facing reporters in the Oval Office above) to construct their “US policies” may have heeded derisive US news media reports concerning him. Such stories may have led some foreign capitals to believe wrongly that Trump was incapable of accomplishing much on foreign and national security policy. Events have proven those sources are unreliable. Often, books of genres outside of foreign and national security policy can provide real answers on issues of interest concerning not only Trump, but thinking in the US. With this in mind, greatcharlie calls attention to Calm in Chaos. US President Donald Trump has managed to create starting points for new beginnings in US relations with other countries. Trump sees potential in everything. As a result, if he sees a better way, an easier route to put the figurative golden ring in his reach, there will occasionally be surprise shifts in his approaches. He has faced a galer of national leaders, each with his or her own ideas, goals, ambition, will, and predilections. Many countries, seeking to collect as much as possible about Trump to construct their “US policies” may have given to the temptation to infer and extrapolate information from derisive US news media reports of recent events concerning the US President. Stories in the US news media that pilloried Trump over domestic political matters, for instance that Trump was a Russian spy and that his presidency was in genuine jeopardy, may have led them to erroneously believe that his ability to do big things on foreign and national security policy was restrained. The Office of the Special Counsel to Investigate Russian Interference with the Presidential Election and Related Matters found no collusion between Trump and the Russian Federation, there were no indictments concerning such collusion, and that there would be no more indictments. Just as the US public, all worldwide who may have accept that false story about Trump now know that his critics and detractors were wrong. A correct understanding of Trump’s approach to foreign and national security policy cannot be founded by using loose, politicized information from overt sources that are now perhaps far less credible. Confident that theory takes precedence over fact, many critics and detractors insist incredulously that Trump colluded with Russia’s intelligence services. Time might be well spent now by analysts in an effort to understand the archaeology of what happened to formerly most reliable sources of public information in the US, and what was the causality for their great turn toward the direction of anger and display such a lack of restraint. Mentalities involved might be considered. Perhaps, it might all be chalked up to being an odd pretense, a collegial game, or even a banal amusement in which players would vie to be one make the most iniquitous statements about Trump. 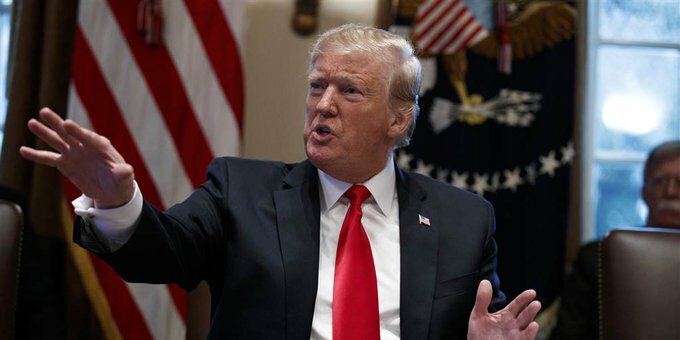 Although the harshness of some critics could convince one that they would be willing “to eat his heart in the marketplace.” Perhaps, it could be some seemingly incurable trauma resulting from Trump’s 2016 Presidential Election victory. There is also the possibility that it is all the result of some ingenious telepathy from Hell! Occasionally, some books of genres unrelated to foreign and national security policy can provide, in an indirect way, real answers for many of those issues. Such books could potentially stimulate thinking that may lead the betterment of relations between the US and many countries. Indeed, one should not be limited by labels. With all of this in mind, greatcharlie is reviewing Father George William Rutler’s book, Calm in Chaos: Catholic Wisdom in Anxious Times (Ignatius Press, 2018), as part of its mission of contributing to the debate on foreign and national security policy worldwide. At first blush, it would be easy enough for some to simply label the book as a compilation. Calm in Chaos is 228 pages long and divided into 35 chapters. Each chapter is a separate essay composed by Rutler. The majority of chapters indeed include essays on matters consequential matters concerning the Catholic Church specifically. As with Rutler’s other books, there is a moral purpose to Calm in Chaos. The book will typically be categorized in bookstores under the genre “Christian literature”. That would indeed be appropriate. Here are a few chapter titles for those essays: “The Pity of Christ”; ”Liturgical Confusion: Challenging Reform”; “Translating the Mass: The Liturgical Experts’ Long Tassels”; “Advent: In My End Is My Beginning”; “Pentecost and the Prerequisites for Devotion”; The Canonization of Teresa of Calcutta”; “Dignitas: The Manners of Humility”;The Idea of a Catholic University Fifty Years after Land O’ Lakes”; “The Curate’s Egg: A Reflection on Amoris Laetitia”; and, “The Problem with Pews”. Understandably, many of chapters concerning the Catholic Church may not resonate with many sweet, worthy, good readers who are not members of it. However, there are other chapters, as aforementioned, in which Calm in Chaos, offers a bit more. A good number of chapters also concern political, social, and even foreign policy issues concerning mainly the US, but also other industrialized countries of the world, and the manner in which those issues relate to faith. Rutler’s essays were mostly written during the respective heights of their topics’ importance or urgency. Some remain as relevant today as they were before. 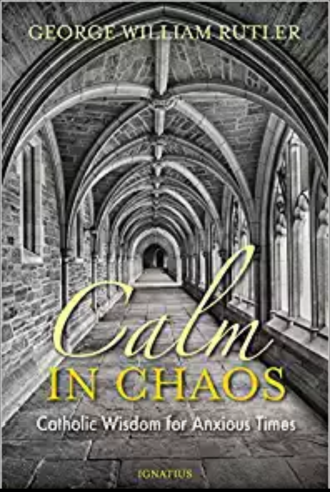 That relevance is what compelled greatcharlie to review Calm in Chaos to its readers, and why greatcharlie urges prospective readers not to short shrift Rutler’s book. The following is a sample of chapter titles for those particular essays: “President Trump’s Warsaw Speech”; A Populist Election and Its Aftermath”; “The Tailors of Tooley Street: Reflections on the Ivory Tower and Reality”; “The Paris Horror: Real and Explicable”; “Tolerating Terror”; The Mindless Iconoclasts of Our Age”; “Prophecy and Prediction: Best Left to the Professionals”; “Looking Down on Africa”; “On Praising Famous Men”; and, “State Education”. Rutler was reared in the Episcopal tradition in New Jersey and New York, Rutler was an Episcopal priest for nine years, and the youngest Episcopal rector in the country when he headed the Church of the Good Shepherd in Rosemont, Pennsylvania. However, in 1979, he was received into the Catholic Church and was sent to the North American College in Rome for seminary studies. A graduate of Dartmouth, Rutler also took advanced degrees at the Johns Hopkins University and the General Theological Seminary. He holds several degrees from the Gregorian and Angelicum Universities in Rome, including the Pontifical Doctorate in Sacred Theology, and studied at the Institut Catholique in Paris. In England, in 1988, the University of Oxford awarded him the degree Master of Studies. From 1987 to 1988 he was a regular preacher to the students, faculty, and townspeople of Oxford. Thomas More College and Christendom College awarded him honorary doctorates. For ten years he was also National Chaplain of Legatus, the organization of Catholic business leaders and their families, engaged in spiritual formation and evangelization. A board member of several schools and colleges, he is Chaplain of the New York Guild of Catholic Lawyers, Regional Spiritual Director of the Legion of Mary (New York and northern New Jersey) and has long been associated with the Missionaries of Charity, and other religious orders. He was a university chaplain for the Archdiocese. Rutler has lectured and given retreats in many nations, frequently in Ireland and Australia. Since 1988, EWTN has broadcasted Rutler’s television programs worldwide. Rutler has made documentary films in the US and the United Kingdom, contributes to numerous scholarly and popular journals and has published 34 books, referred to by some as classics, on theology, history, cultural issues, and the lives of the saints. Currently, he is the pastor of the Church of Saint Michael the Archangel in New York City. One can encomiastically state that Rutler possesses an immense intellect. If one has not come across the name of such a prolific writer as Rutler previously, it is likely because he has never involved himself in the global circus of public relations and other usual methods of projecting oneself with people as most writers. This author’s coup de foudre with Rutler was watching the broadcast of a segment of “The Parables of Christ”, a series Rutler created for EWTN Catholic Television Network. Ever since then this author has been an avid reader of his work, stumbling after him, seeking to learn as much possible from all he graciously offers. This author would like to believe that traces of Rutler’s writing style can be detected in greatcharlie’s essays. Suffice it to say that in any theoretical bildungsroman of this author, Rutler would feature prominently. There are those who possess an uncertain picture of the world, who may be prospecting for answers on a way of living and hoping to discover a moral anchor. Some may have a zeal for God, but may not have sufficient knowledge of God to move down the right path. Rutler, a Catholic priest, without engaging in a blatant, fire and brimstone attempt at evangelization, would surely suggest that they would do best by turning toward the Catholic Church which can provide sure foundation for their enrichment, enlightenment, and salvation. They will receive all of the seed and fruit that comes with the knowledge of God the Father. However, such individuals, not knowing where to turn, are instead often easily led along a garden path to what is really a false discipline that requires “looking at the world on a case by case basis” and possessing a certain “open mindedness” to new things, even things that would have previously been labelled, at least in sophisticated, industrialized societies, as taboo. At least for the moment, there is an insistence by purveyors of this approach to life that anything which smacks of being doctrinaire must be rejected. While what is offered may seemingly cauterize the initial tension, it all lures one in the wrong direction, away from truth. Indeed, a custom-designed conscience, elevated just at the common denominator, has been created by film and television studio heads, publicists, entertainment news media moguls, who are the figurative high priests of a ever celebrity based culture engulfing the US. Their goal is to keep the focus of the US public on banal amusements and the consumption on gossamer fantasy. Once venerated mainstream network nightly news programs in the US are married to entertainment news programs and game shows that promote celebrity, wealth, power, and self-indulgence. For the most part, the US news media itself has become liberal-leaning, occupied by irascible commentators and experts who unapologetically present through politicized commentary what they perceive as the rights and wrongs of the society. Due to some odd nuance, it is all labelled as news. The traditional targets of corporate and government power are no longer the main focus. Trump, himself, is priority one. News media outlets of today would undoubtedly offer a far less elevated reason for their beliefs. Those thoughts would be most likely unwelcome to the ears of the more thoughtful, those of true faith. There is a reality that a certain type of individual has found a place in centers of power in the US. They have worked hard to actually eradicate those spiritual values that were amplified in the US Constitution and the development of the society for a type of artificial world view. In many ways, it is a stealthy simulacrum of the Communist notion of humanism where anything goes as it is all a product of the human mind and not the Creator, God the Father. It is in Rutler’s essays that examine political, social, and foreign policy issues that concern the US from which the reader is provided with a discussion that would certainly better one’s understanding of a prevalent views within the US public. Rutler brilliantly, methodically lays out his reasons for not being agreeable with that shift, the “new morality” dominating the public forum. One should not expect Rutler to observe the world through a lens that presents the world before him as a green verdant countryside and his view of the path for man on Earth is a tree lined mountain road. Conversely, Rutler really does not mind getting to the root of the social and political background of matters. Ever true is the adage that in order to study the disease fully, one must search through the swamp. Paradoxical to common thinking, Rutler, as with other religious, are not isolated from where the ills of world exist but rather bring themselves closer to them as that is where their work must be done. That is where the Word of God is surely needed most, and Catholic priests as Rutler are the “fishers of men.” To that extent, Rutler in his writing, has often shined high beam lights on what has become orthodoxy within this avant-garde spirituality being propagated. It is the foundation upon which the core beliefs a hair raising new culture continues to build. Perhaps as a product of cautious instinct or cynicism, it might intrigue some to discover with the Catholic Church being portrayed very often now in a negatively light, that a new book that includes essays of Catholic priest critiquing aspects of political thinking and policy making in the US might come on the scene. Indeed, the Catholic Church has been existing under a cloud of scandal centered around the private behavior of a number of priests and the remiss of church officials in responding for decades to allegations of crimes committed. For a spate, there were stories recounting victims’ abuse from priests appearing in newspapers and on television news seemingly every ten seconds. For the Catholic Church, it is now a matter of great moment. The problem is not an easy knot for it to untie. His Eminence Pope Francis has indicated that he intention act ex cathedra in all cases revealed, uncovered, and reexamined by the church. Certainly, there was a terribly misguided understanding of personal and collective loyalty to the church. On the other hand, in this author’s view, it was a jarring blow scored by evil against the church in the fight, the spiritual combat, between good and evil here on Earth. It is the same fight for the souls of people that has been ongoing since Adam and Eve. 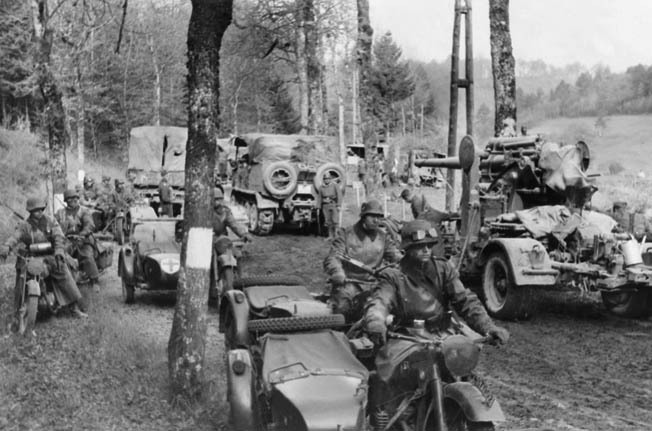 For the Catholic Church, is a war being fought not for expedience, but with the ultimate goal of total victory. That struggle will not end until the final victory that will arrive with Second Coming of Christ. Rutler appears to have by instinct the methodology to serve well in the cause of spiritual combat. Rutler’s essays to some extent serve as reports from the frontlines of the war against evil, presented from the side of the righteous and ordained. What readers should discover in reading Calm in Chaos is that the sanctity and dignity of the Catholic Church, its virtues, reside in men such as him. They are accessible via a nearby parish church or cathedral of the local diocese. It is always interesting to watch a craftsman at work, a professional at work, making full use of his powers along the lines of excellence. Calm in Chaos is one more elegant display of Rutler’s absolute mastery of the use of the English language. Great and popular writers, other published professionals, and the burgeoning aspirant alike are tantalized by his talent, literacy, and articulation. There is something about the cadences of the prose, the qualities of the descriptions, There is a tone of voice that creates a marvelous feeling of calm. By its quality, Rutler’s writing holds the reader, whether the reader wants to be held or not. It is all immediately recognizable to his loyal readers. Rutler uses what this author describes as concentric circles of discussion, building an understanding of an issue from the social, political, historical, philosophical in addition to the theological. Rutler is erudite on all subjects concerning theology, the living history of the Catholic Church, but he also an incomparable repository of knowledge on the history of Europe. Readers become instant beneficiaries of his munificence as the book a abounds with lessons through. Readers will finish the text with a nearly complete colleges level history course on top the ideas shared in each essay. Having long ago found the great and the good in literature, he shares passages graciously when they relate well with the subject at hand. To provide a taste of the fascinating discussion that readers of greatcharlie will find in Calm in Chaos, the following chapters are briefly summarized: “A Populist Election and Its Aftermath”; “The Tailors of Tooley Street: Reflections on the Ivory Tower and Reality”; and, “The Paris Horror: Real and Explicable”. 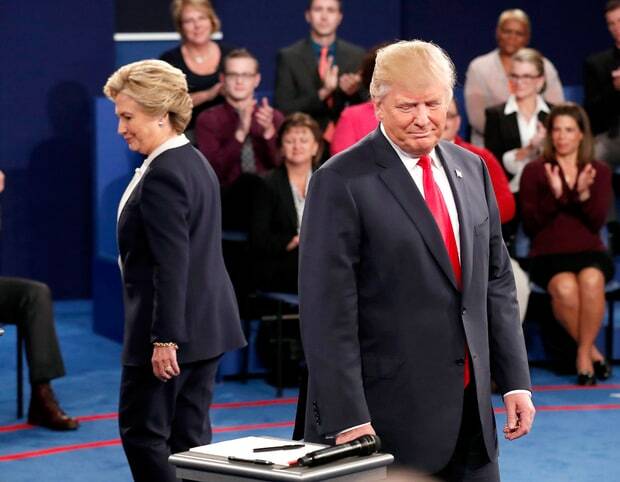 In “A Populist Election and Its Aftermath”, Rutler meditates on some immediate responses to the Trump’s 2016 election victory by the incredulous supporters of his opponent, former US Senator Hillary Clinton. He explains that some who trusted pundits shocked that “their perception of the American populace was an illusion.” He further states: “Their rampant rage would have been tamer if they had not been assured, to the very day of voting that the losers were winners.” Some many were unable to bear reality. Rutler directs some commentary toward those who criticized Trump with iniquitous statements and who are now self-styled experts on everything concerning the US President and everything on which he is engaged. Rutler mentions, in particular, conservative commentators who predicted Trump’s failure and lamented over the gauche, vulgar, shockingly ignorant, oafish and immoral” nature of his untutored rhetoric “as though the White House has long been a temple of vestals.” Rutler explains that those same conservatives “now offer advice to the president elect, as fair weather friends, underestimating the storm, hoping that general amnesia will wipe away their lack of prescience.” Those now reliant upon their commentaries, would do well to reconsider that choice. Caveat emptor! In “The Tailors of Tooley Street: Reflections on the Ivory Tower and Reality”, Rutler discusses the response toward Trump’s Presidential Campaign and his ultimate victory from the prism of the “Ivory Tower”. He explains that the “Ivory Tower” label covers the academic towers, editorial offices, think tanks, foundations, and blogs. He discusses what may be the basis for their unwarranted sense of certainty regarding the correctness of their predictions about Trump prospects. Rutler notes: “those who claim to speak of the people, by the expletives, and for the people may not really know the people. As part of his diagnosis of the problem that be devils those occupying the “Ivory Towers”, Rutler explains that “they have been talking so long to each other, listening to the same lectures and attending the same conferences with the same people, insulated by funding from intersecting foundations, that they think they are the people. Confined to such an existence, Rutler further states about them generally: “they overestimate themselves when they publish ‘open letters’, ‘declarations’, and ‘appeals’ to mankind.” Questionable judgment would be exercised if those in foreign capitals might decide to fashion a decision vis-a-vis foreign policy or diplomacy with US based on the meditations from such experts. If at times this review of Calm in Chaos seemed a bit soupy, please pardon greatcharlie’s indulgence. However, it is a wonderful book and such was, without pretension, the only way to review it. Without hesitation, greatcharlie wholly and heartily recommends Calm in Chaos to its readers. Again, If not to read the book due to religious interest, it would be worth reading to see what appears to lie at the base of many positions on urgent and important social and political issues issues within political circles and the the US public, and how one might take one’s own deeper look into such matters. It is assured that after the first read, any reader would go back to it again and again. US Secretary of State Rex Tillerson (above). 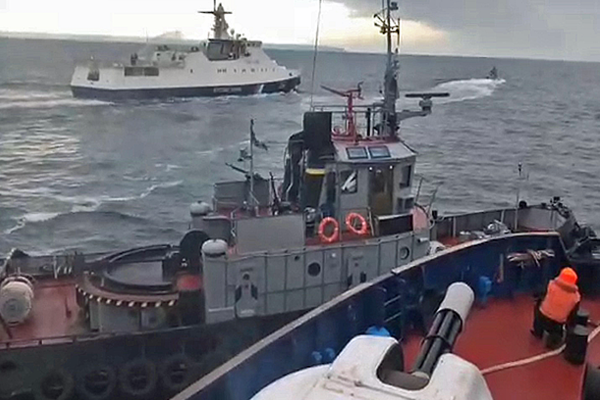 When US President Donald Trump signed legislation on August 2, 2017 imposing sanctions on Russia, he asserted that the law included “clearly unconstitutional provisions.” Tillerson stated in complete solidarity with Trump that the law should not have been passed and will harm US foreign policy efforts. Tillerson’s fidelity to Trump is unquestionable. Yet, what will determine Tillerson’s success as Secretary of State is not only his loyalty but the many dimensions of his capabilities. Those wishing the current administration success for the sake of the US and the sake of the world felt Trump hit the jackpot on December 12, 2016 when he announced Tillerson would serve as his Secretary of State. The 64 year old native of Texas had just rounded off a 41 year career at ExxonMobil as Chief Executive Officer. 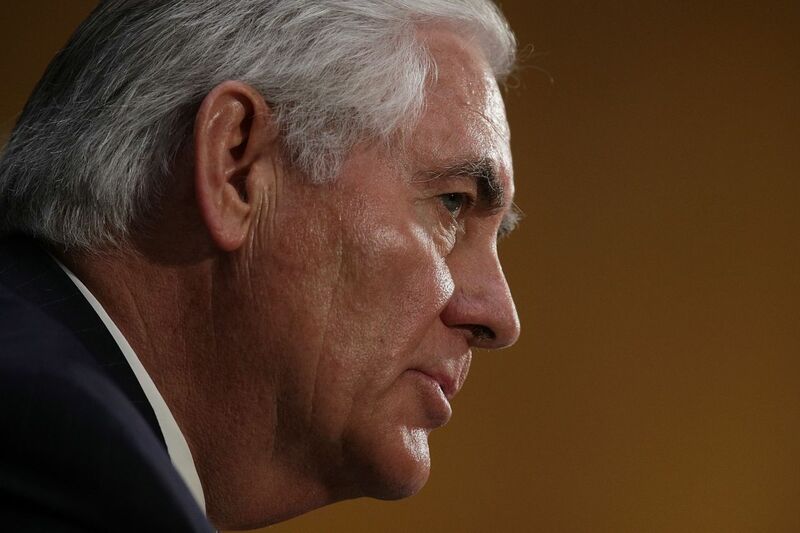 Critics rushed in to say Tillerson lacked diplomatic experience despite the global nature of his duties for ExxonMobil which among other tasks included: negotiating contracts; settling major disagreements with overseas clients and partners; overseeing operations; and managing emergencies. At this point, Tillerson has found his stride as Secretary of State. Initially, he tried to shield the foreign policy making process and get his efforts off to a great start by safeguarding his organization, and eliminating his mind from the disparagement, opprobrium, and destructive accusations being hurled at the administration.He would not say or do anything to involve himself in that fracas However, strenuous efforts were made by critics of the administration to tug Tillerson down into the web of intrigue. Remaining distant from all of that cacaphonous background noise proved to be impossible. Tillerson has accepted that reality, and has managed to cope with any unfounded and unwarranted ridicule. 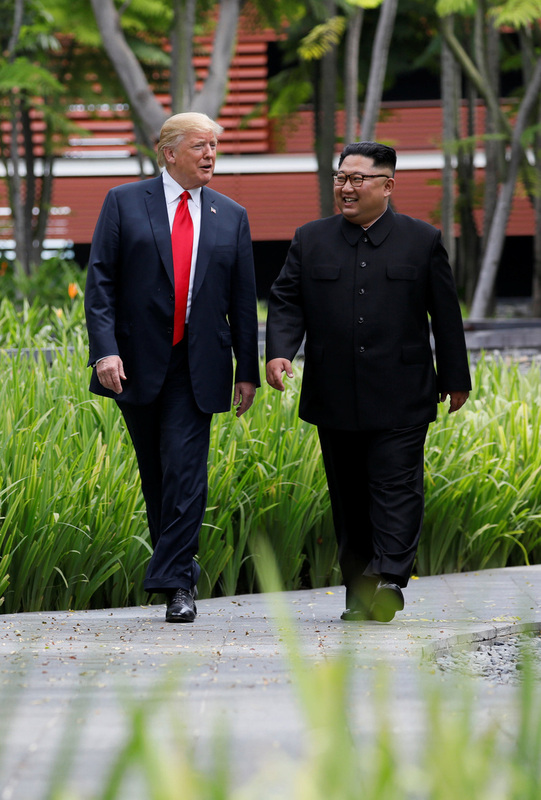 Moreover, he has had some success in allaying concerns of foreign leaders and counterparts with whom he has met by presenting them with a genuine, logical picture of Trump’s concepts and intent, and the administration’s foreign policy. 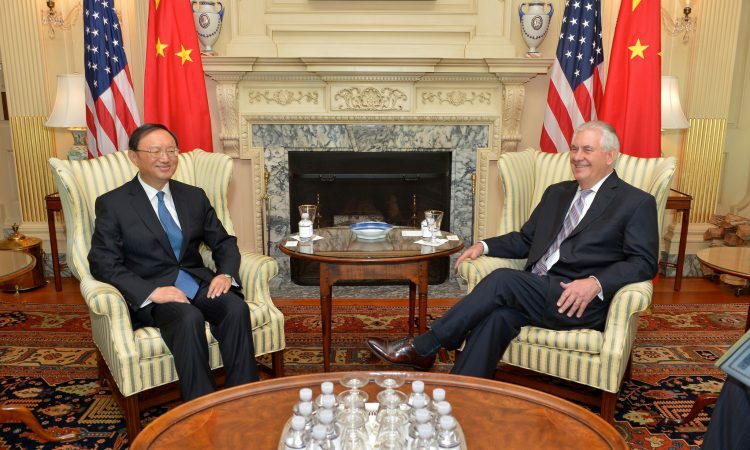 Tillerson (right) and Chinese State Councillor Yang Jiechi (left). Tillerson was initially declared a neophyte by critics. They proffered that he lacked sufficient experience in diplomacy to serve as Secretary of State. Tillerson has actually performed superbly as the chief US diplomat. In meetings with foreign leaders and counterparts, he digs beyond the surface to discern where stronger linkages can be established. Those insights have helped him develop resolutions to issues. First among Miller’s four requisite traits, boiled down to the bones here, is having a negotiator’s mindset. 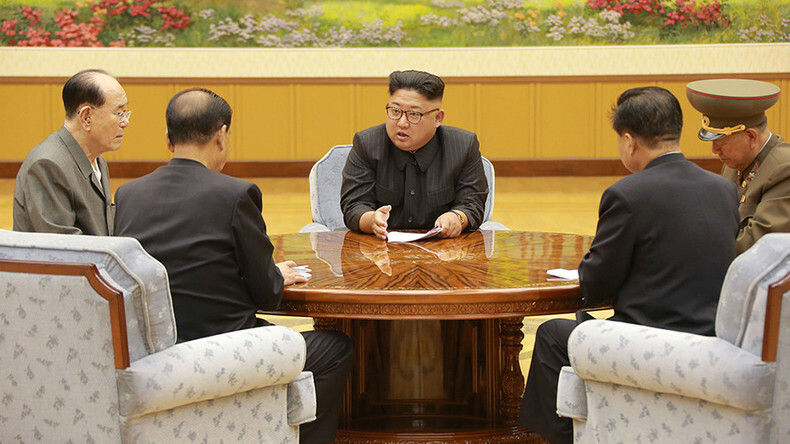 Indeed, an effective Secretary of State can conduct negotiations, defuse crises and tackle issues that a reasonable person might consider intractable. The Secretary of State must know how to make a deal, to have a sense for timing and to know when an opportunity has revealed itself, and then know how to reach a final agreement. Second, to the extent that it supports deal making, it is important for the Secretary of State to have a cogent, coherent worldview, ostensibly infused with the policies of the US administration. Third, the Secretary of State must be assured of the president’s full support. Ostensibly, all presidents have supported their Secretaries of State, but that support can vary in degree. A Secretary of State must have support critical to success. 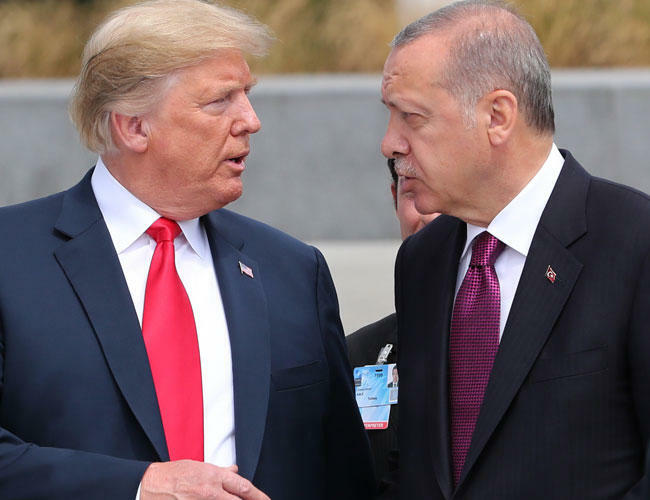 The renowned statesman, former US Secretary of State James Baker, once remarked that the Secretary must be “the president’s man at the State Department,” with real authority, power, and credibility. Fourth, the president must indicate publicly and internationally, through words and deeds, that the Secretary of State is a trusted confidante. If an apparent gap exists in the relationship between Secretary of State and the president, or if it is clear that the Secretary of State has not been given the power to handle urgent and important issues, the power as the president’s chief diplomatic will be diminished. Searching the archives of US newsmedia houses for reports on the foreign policy of the Trump administration, one would already find a multitude of inequitable, negative assessments, against Tillerson. Those reports would typically explain that he is inexperienced in diplomacy. They essentially declare him a neophyte, lacking a background in diplomacy sufficient enough for him to serve as the chief US diplomat. It was proffered by some observers that without the labored reasonings of experts, Tillerson’s intuitions would be uninspired. Such assessments were made for more harsh by the fact that such experts had not yet been appointed to many senior positions at the State Department. Critics appeared assured that Tillerson would languish in inaction on the seventh floor of the State Department headquarters. As it has turned out, those grim conclusions have approximated to slander against Tillerson. While some critics, albeit, would immediately point to the fact that he is still seeking to fill all senior positions in his organization, Tillerson has performed superbly and admirably as Secretary of State. That is best evinced by the expressions of approval and appreciation he has received from the president. Tillerson displays a much appreciated wit and savoir faire in meetings, telephone calls, and statements with foreign leaders and counterparts. He will demonstrate that can be engaged in constructive, mutually satisfying dialogue. He will try to get to know his interlocutor and try to develop an amicable relationship. Among some he meets, there is often a preexisting relationship resulting from business contacts he had with them while he worked for ExxonMobil. As a top US business leader, he would often interact with senior foreign officials on a level and in a way rarely enjoyed by even senior US diplomats. Foreign leaders, officials, and business giants as well, were typically more relaxed in conversations with Tillerson then, even telling him things discreetly that US diplomats never would have heard. Some of those relationships became somewhat personal. Those relationships could possibly serve now as foundations for building trust beyond written documents and treaties while he is Secretary of State. Such relationships could allow Tillerson and an interlocutor to relax and explore territory outside their formal negotiating positions; discuss certain assumptions, strategies, and even fears. However, Tillerson would never sacrifice his principles to save a personal relationship with an interlocutor. A personal relationship through past business interactions will never serve to sway Tillerson in any way in US decision making in favor of another country’s needs. Tillerson can of course recognize the difference between an hackneyed exhibition of “adoration” for him and adoration directed at the US pocketbook through him. Tillerson’s sole interests now is performing his duty to his country under the guidance of the Trump administration’s policies, serving the people of the US, and obeying the US Constitution. Tillerson undoubtedly makes that perfectly clear in meetings when necessary. 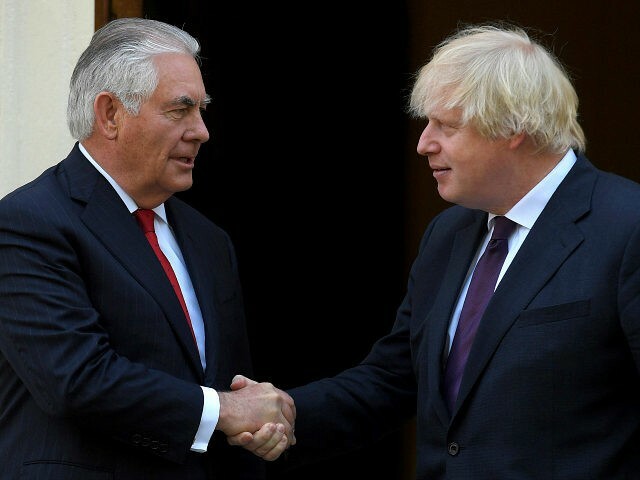 Tillerson (left) and United Kingdom Foreign Secretary Boris Johnson (right). Through his contacts with foreign leaders and his counterparts, Tillerson has been able to transmit an authentic understanding of his thoughts and concerns on issues relevant to their countries, the policy positions of the US, and concepts and objectives of Trump to them. He encourages them to express their interests, share their concerns. He wants to hear how things look through their lenses. Quidquid dicendium est, libere dicam. (Whatever must be said, I shall say freely.) A quality that Trump liked about Tillerson when he selected him to be his Secretary of State is that he will roll over on his back and play nice in the face of controversy or challenges. To that extent, Tillerson has naturally had some disagreements with the White House over issues of importance to him. On those occasions, he does not speak in a roundabout way; he speaks directly. He chose his words carefully. They were proclamations of the truth meant to dispell wrong ideas and incorrect steps. For example, Tillerson voiced concern over being unable to make independent decisions about staffing at the State Department and about the organization in general. 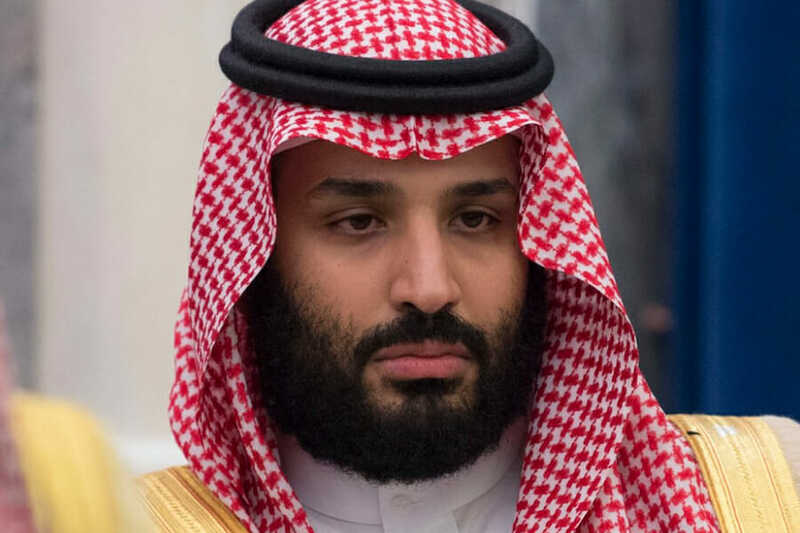 He reportedly expressed his displeasure with Johnny DeStefano, the head of the Office of Presidential Personnel, for torpedoing proposed nominees to senior State Department posts and for questioning his judgment. Tillerson complained that the White House was leaking damaging information about him to the news media, according to a person familiar with the meeting. Above all, he made clear that he did not want DeStefano’s office to “have any role in staffing” and “expressed frustration that anybody would know better” than he about who should work in his department–particularly after the president had promised him autonomy to make his own decisions and hires, according to a senior White House aide familiar with the conversation. Tillerson had to contend with a very public coupe en deux pieces between the US Mission to the UN and the State Department. The statements of Trump administration’s US Permanent Representative to the UN, Nikki Haley, a fellow Cabinet member, were deemed too far off message relative to other senior members of the administration. Other representatives on the UN Security Council began to view Haley as a source of authority on US policy. One foreign diplomat made the erroneous observation at the time that Haley had not only taken charge of determining what the administration’s posture would be at the UN, but broadened her responsibilities on a range of foreign policy issues. Their approaches to the US were being formulated based on her statements in that forum. 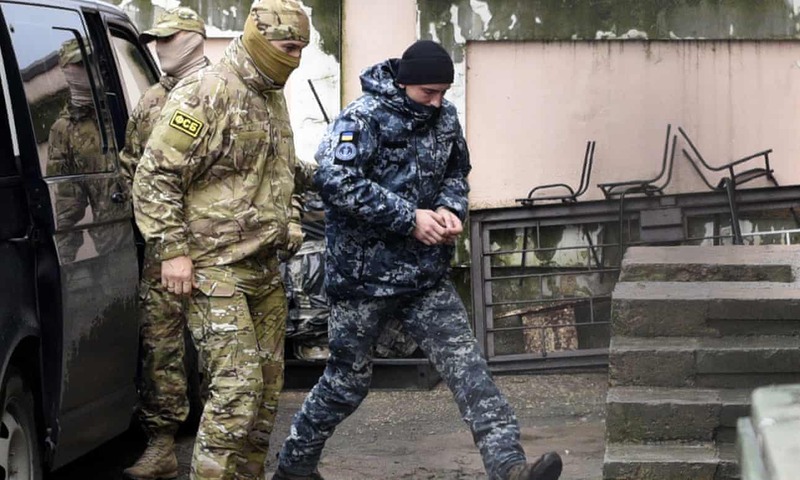 It was all seen as a serious matter with the potential harm the US ability to implement steady policy in manner that would satisfy, and draw other governments to its points of view. An email sent from State Department diplomats to the Office of the US Permanent Representative to the UN urged the Mission to rely on “building blocks” written by the department to prepare remarks for Haley. Haley’s aides were also urged to ensure that her public remarks were “re-cleared with Washington,” especially if they were substantively different from the building blocks, or if they were on a high-profile issue such as Syria, Iran, Israel-Palestine, or the North Korea. Additionally, Tillerson has reportedly been a bit uneasy about Trump’s use of Twitter or a speech to establish foreign policy that is in variance with his best advice. Yet, all of that being stated, Tillerson’s fidelity to his president remains beyond question. No matter how the president might decide on an issue, Tillerson has stood side-by side with him. He never has backed away or tried to stand in the middle of road. 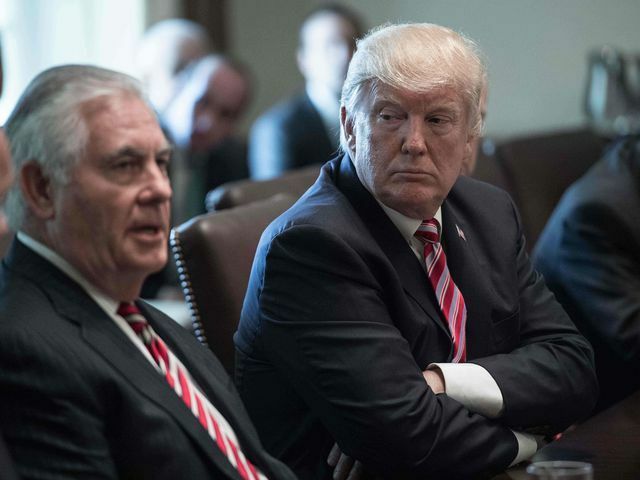 Tillerson (left) and Trump (right). Tillerson has spent considerable time with Trump. He is confident of Trump’s support for him. Trump, has left no doubt that he is very satisfied with Tillerson. Tillerson will unlikely say one day that his efforts have been futile and then abandon his post. In his years at ExxonMobil, Tillerson was never known to have left tasks unfinished. Tillerson has spoken publicly about his commitment to service and the call he heard to take on the job of Secretary of State. Quid enim est stultius quam incerta pro certis habere, falsa pro veris? (What, indeed, is more foolish than to consider uncertainties as certain, falsehoods as truths?) 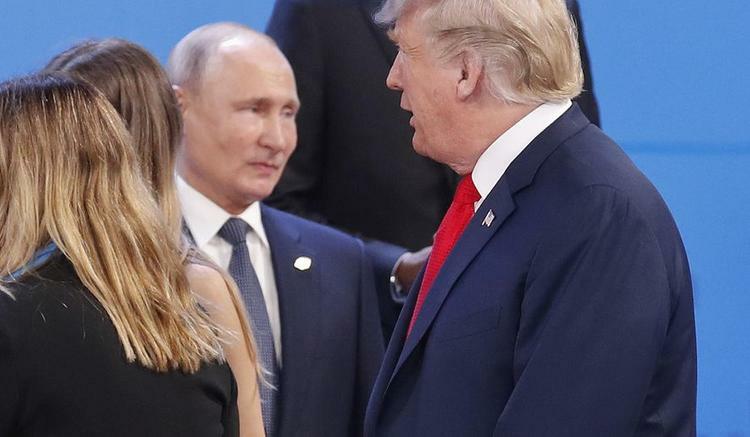 Even before Trump was sworn in as president, stories swirled in the newsmedia about alleged lurid activities of administration officials to gain Russia’s assistance in order to defeat Trump’s main competitor in the 2016 US Presidential Election, former Senator Hillary Clinton. Those allegations set off a number of official investigations of former campaign staff and a few administration officials. There was a Congressional investigation open to public view; an investigation by a Special Counsel appointed by the US Department of Justice which closed even to Trump; and assays were very likely initiated by certain watchdog organizations within the US intelligence community. 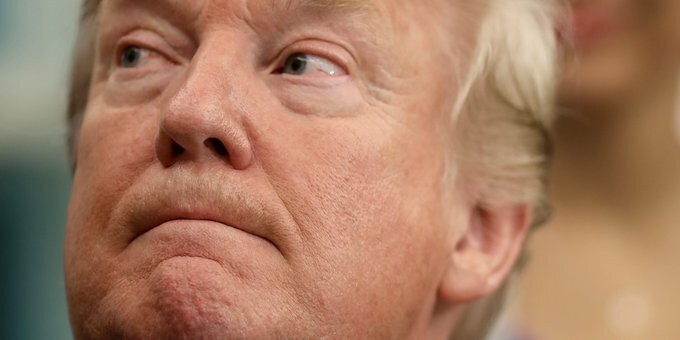 Trump has stirred the pot a bit on the investigations through his use of Twitter and teasing voracious journalists, hungry for every morsel of news about his thinking and the inner working of the White House on the Russia matter. He once hinted about possessing recordings of important conversations on the matter with a very senior law enforcement. He later admitted that did no such recordings existed As time has passed, many public allegations made against Trump were also collapsed by the truth. Tillerson wanted to avoid that whole cabaret. He took a few temporary steps in order to protect his serenity of mind and put all his attention on the sizable responsibilities of his new job. Tillerson stayed far from the limelight. He had no desire to be the man of the moment. He did not appear in front of both reporters and TV cameras to confirm his place as the nation’s chief diplomat unlike many of his predecessors during the past 6 decades, or spend much time with journalist before or after meetings with foreign leaders and counterparts. Journalists were surprised when they were told by the State Department they would not be allowed onboard his plane during a diplomatic trip to Japan, South Korea, and China. Former US Secretary of State Henry Kissinger, who met with Tillerson over lunch during the first week of March 2017 acknowledged: “The normal tendency when you come into that job [Secretary of State] is to increase your visibility and to show that you are present and in charge.” Kissinger went on to explain: “He [Tillerson] wanted to first inform himself of all the nuances. 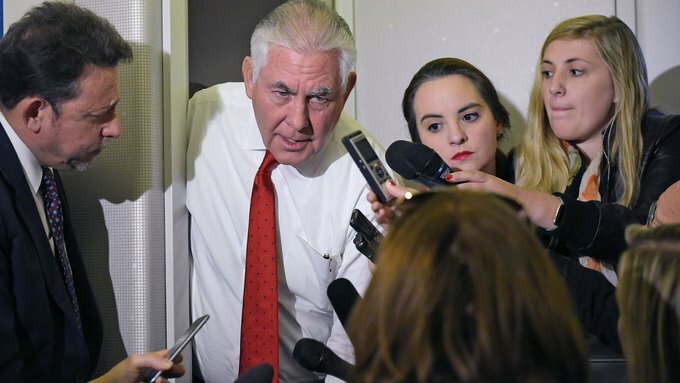 I was impressed by the confidence and self-assurance that he showed.” Ultimately, Tillerson could not avoid, and was certainly not spared from, disharmonious contacts with the US newsmedia similar to those that other Cabinet members and White House officials were encountering. Critics were aflutter at Tillerson’s every move during the first few months of his tenure. They would often report that he was absent at meetings with foreign leaders at the White House. 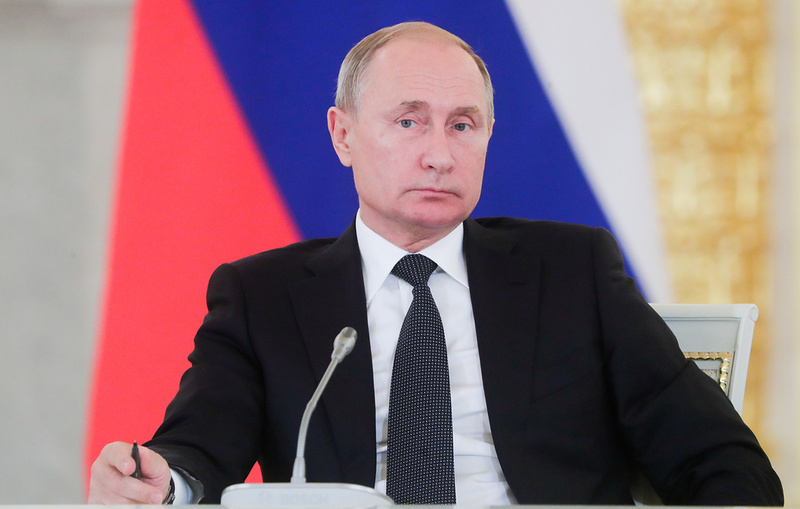 Before Trump was inaugurated, stories swirled in the newsmedia about alleged activities of campaign staff and administration officials to gain Russia’s assistance to defeat Trump’s rival in the 2016 US Presidential Election. He took a few steps to protect his serenity of mind and fix his attention on his new job’s responsibilities. He did not appear in front of journalists and TV cameras to confirm his place as chief diplomat. Ultimately, he could not avoid difficult newsmedia contacts. 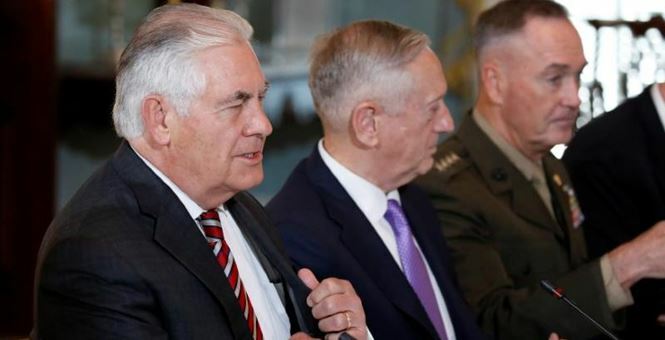 Tillerson (left), US Secretary of Defense James Mattis (center), and US Chairman of the Joint Chiefs of Staff, US Marine Corps General Joseph Dunford (right) It may be that those who develop false and contemptuous reports about Tillerson on the Russia matter have no intention to do harm, but that benignancy is often difficult to detect. 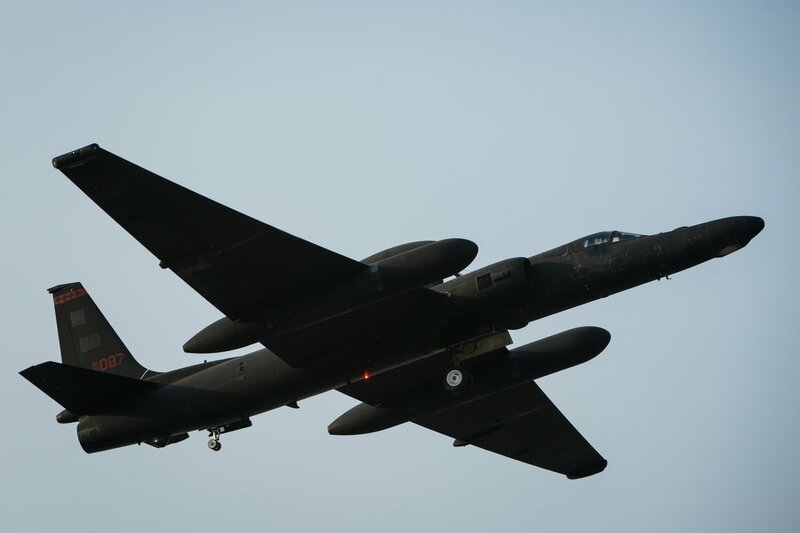 One could also view it as an effort to neutralize a senior member of the US diplomatic, political, military, and economic decision making apparatus. In Ulysses, Alfred Lloyd Tennyson wrote: “Though much is taken, much abides; and though We are not now that strength which in old days Moved earth and heaven,that which we are, we are, One equal temper of heroic hearts, Made weak by time and fate, but strong in will To strive, to seek, to find, and not to yield.” Ahead of this nascent period of the administration, into what may be the first of possibly two terms for Trump, Tillerson would like to introduce some considerable changes to the organization that he leads. The personal and working relationship between Trump and Tillerson will determine whether the Secretary of State will be able to execute an ambitious plan to revamp his department; a significant effort that will viewed as an important part of Trump’s legacy as president. Tillerson announced his plans to restructure the US organism for diplomacy during his May 3, 2017 presentation to the rank and file of the department in its Dean Acheson Auditorium. He explained his desire to make the department a more agile, collaborative workplace. It would become a more diverse landscape of ideas and solutions. 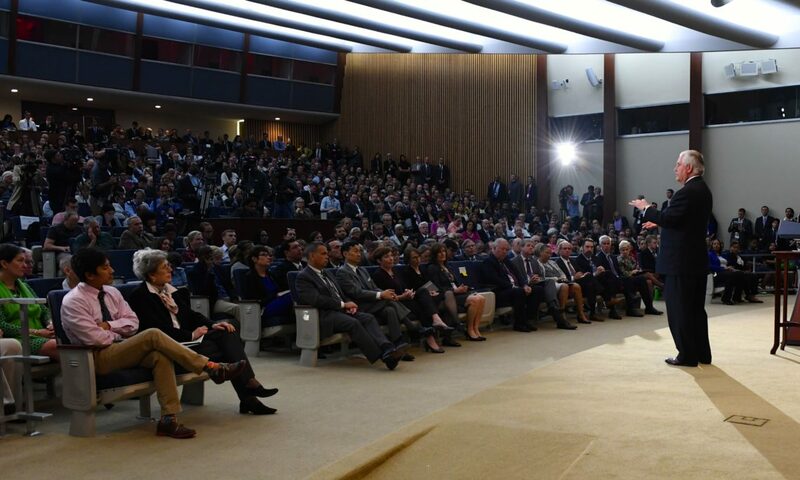 Tillerson at the Acheson Auditorium at the State Department (above). Tillerson would like to introduce some changes to the organization that he leads. The personal and working relationship between Trump and Tillerson will determine whether he will be able to execute his ambitious plan to revamp his department; an audacious effort that will be seen as an important part of Trump’s legacy. His plan is not tear down, but improve on what is being done.